This is the map that made me stop just looking at Kevin’s maps when they came across my feed, and made me start hunting for his works. It may not be his strongest piece, but it certainly shows a variety of styles, structures, and just plain coolness. 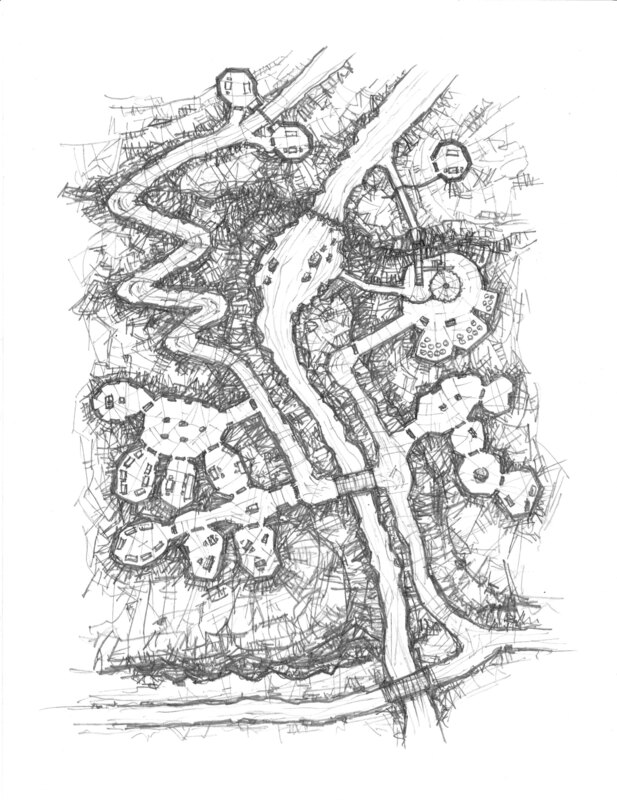 I love the roads, the bridge over the water, and the water pipe… It’s a map that I find incredibly memorable and that I desperately want to add to one of my adventures. Very impressive. I also have to say I am a fan of this illustration.